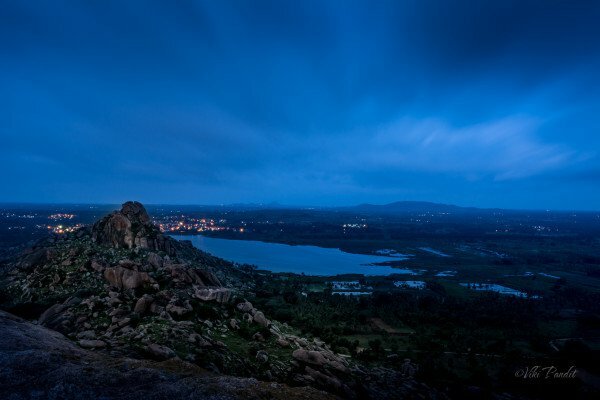 Kuntibetta, the land of Pandavas is also known as 'French Rocks' as the French army camped near the place while colonialism was at the peak of its glory. Kuntibetta, thus, was reconized as a great camping place near the lakeside view and calm surrounding..perfect place for our plan to experience peacefullness under the stars, pondering over our lives and make it better with new friends around a bonfire. Plan is to leave on Thursday, 31st, post lunch at 2 pm, reach Tonnur lake by Sunset time. We will have a special dinner for New Year's Eve and also some group activities. Camp fire and songs and sleep under the stars. We will pitch tents for those who want to feel cosy and comfy. Things to carry: A small bag, good pair of shoes, a pair of slippers to walk around the lake, cap/hat, sunglasses, water bottle, hand towel, torch, personal toilet kit, jacket for morning/night use, camera, batteries, your fun-self. Cost: Rs. 2500 includes travel by a non-AC TT, Thursday's evening snacks, special New Year's eve dinner, tent and sleeping bags, Friday breakfast, guide charges, and Sunday lunch. Travel by TT also is included. Participants need to fill up registration forms before the trip and bring their passport size photographs and id proof photocopy before we commence the trip.